I've just had a sefer torah passed to me to fix that has a serious rip through two amudim in the last yeriah (they added sellotape to try and prevent it getting worse, rather than just leaving it alone). 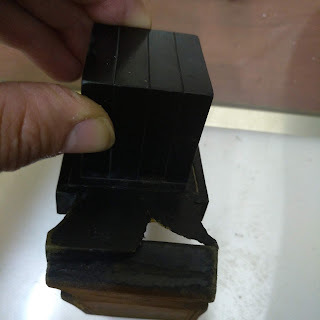 Fortunately the rip is very clean and when joined together and patched the ink should create a bridge to make the letters guf echad and mukaf g'vil. The first part of the rip in the last amud goes straight through one line and so technically is fixable. However the second part in the penultimate amud goes through many lines of k'tav. Keset Hasofer 18 says that if it goes through 3 or more lines then the sheet needs replacing and stitching does not suffice. We don't stitch nowadays but Mishnat Hasofer says this applies also to gluing patches from the back. Though if one came across such a rip repaired this way done by someone else, then it doesn't make the Torah pasul and it is kasher b'dieved because it is a hiddur. The synagogue obviously wants to keep costs of repair down (small community with some major building debt). Two questions: 1) Since the rip is clean and could be fixed mechanically without the need to rewrite the section is there a kulah that can be relied on? Source? If one does something that one knows is okay only b'dieved knowingly how does that stack up? 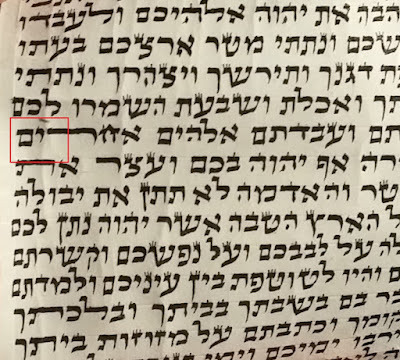 2) Since one is supposed to rewrite the whole yeriah (ie 3 amudim) but the TaZ also says that b'dieved a single amud is also kasher, would one have to rewrite only this one amud, the two last or the whole yeriah. Again are there any other sources. if the tear rips thru letters they are pasul, so no stitching or gluing will kasher this rip. there are only 2 options, a) to change both amudim, b) or cut out the area that is torn (put those pieces in geniza) and put a matlis or two, glue the matlis/im into place a rewrite the missing lines on the matlis/im after they are connected to the sefer. If you need sources? tomorrow. Mordechai as Rabbi Weiner explained this is non repairable.a letter may not be written on two pieces of klaf-we do not allow miktsas ha-os al haklaf umiktzas al hamatlis. The last column of the sefer torah may be written lechatchila as a stand alone panel, the fact that the 2 columns before are a panel of 2 is already "after the fact" and therefore do not have to be replaced see footnotes in rabbi sterns keses siman 13 footnote 9.
since the last column is being rewritten you can have the sofer leave the last few letters for a siyum celebration which may help the shul raise funds. My local shul has has a one Torah with a rip through the first column in Bereshiyt. I was told by a sofer/examiner from Jerusalem that the entire yeriah had to be replaced. Three lines are affected as well. Thanks R. Moshe - I was expecting this based on the halacha as reported in Kest and Mishnat Hasofer, but was hoping there might be something. I thought about cutting out and adding the matlit but I generally find that to be really horrid looking. Sources are always useful to further my learning. R. Beis Hastam - academic this might be, but this this wouldn't be partly on k'laf and partly on patch as the elements would join together completely and the ink would be a bridge as is the case with ink over a small hole. The siyyum idea for fundraising is excellent and so before I write the amudim I'll offer this to the shul. see Maharik mentioned in beis yosef YD ch280 explaining why the letters parted by the tear are passul. See Taz YD ibid. 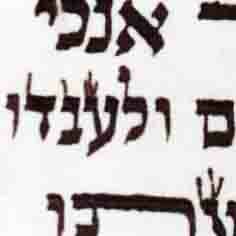 the matlis glued/joined to the klaf will be as one klaf - as Mordechai wrote, but according Bach and Shach there, the letter must be completely with its hekef gvil on the klaf of the matlis, a letter partialy on the original klaf and partialy on the matlis is not accepted, this includes the hekef gvil of the letter, as Beis hastam wrote. At least lechatchila do it according to all poskim. Todah Rabbah R. Moshe - will check the sources and speak with the synagogue and recommend that we do things l'hatchilah according to all poskim. However for my own benefit to understand then if the join is completely clean and the matlit is just holding it together rather than being written on then the ink acts a gesher and so according to the Taz but not the poskim then b'dieved the single line one would be fine to repair. No. If the join is holding the letter [that was once ripped], it is not kosher. Only if first you glue a matlis, and then write a new letter on this parchment joined together [the matlis & original] the letter/s are kosher according Taz. Accordingly you would have to erase all the letters that were torn (they have no takana), and glue the matlis and then you can write on the join. According Shach in this situation you may write letters completely within the matlis [hekef gvil included] so the new letters are written only on the matlis. While according Taz the letters may be written partialy on the klaf part and partialy on the matlis part. Thanks for the clarification R. Moshe, that is what I meant - glueing the matlit first - sorry wasn't clear. But if one has to erase all letters and not merely use the ink as a gesher that wouldn't have worked after all as Hashem's name is one of the words in that line. I'm really pleased to say this is academic as the synagogue have agreed to the original recommendation of replacing both amudim rather than any patching solutions (either Shach or Taz). well obviously the shem would have to be cut out intirely, and can not be erased.